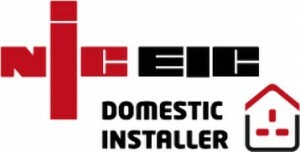 Expert electrical installers located in the St Merryn and Padstow area, providing electrical installations for Domestic Properties and for builders constructing extensions and new homes. For existing domestic and business properties, Power-FM offer general maintenance and repairs, electrical upgrades and rewires; all the works required to bring your property up to the current wiring regulations (British Standards BS 7671). Power-fm also provides comprehensive PAT Testing for all your portable appliances. As a business or holiday home owner who rents to holiday makers, it is your responsibilty to make sure your equipment is safe for your employees and visitors to use. Areas we cover: Padstow, Wadebridge, St Merryn, Newquay, Bodmin, St Eval, St Columb and surrounding areas.